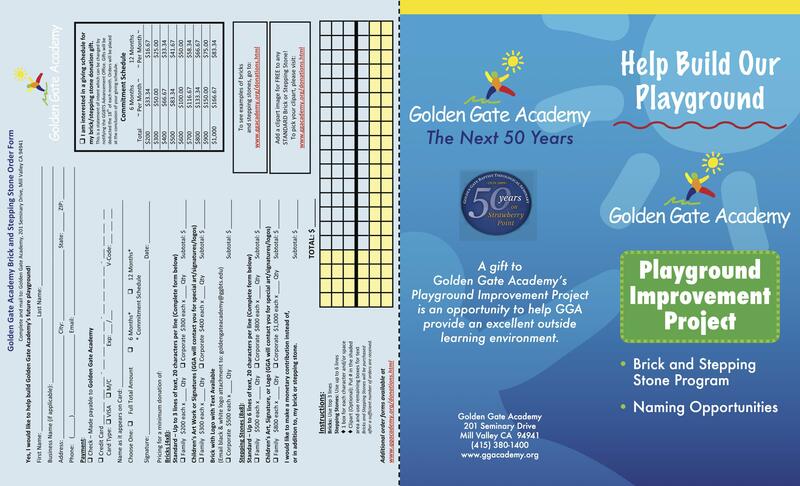 This was the first brochure (produced in 2010) to be created for this 50-year-old preschool. 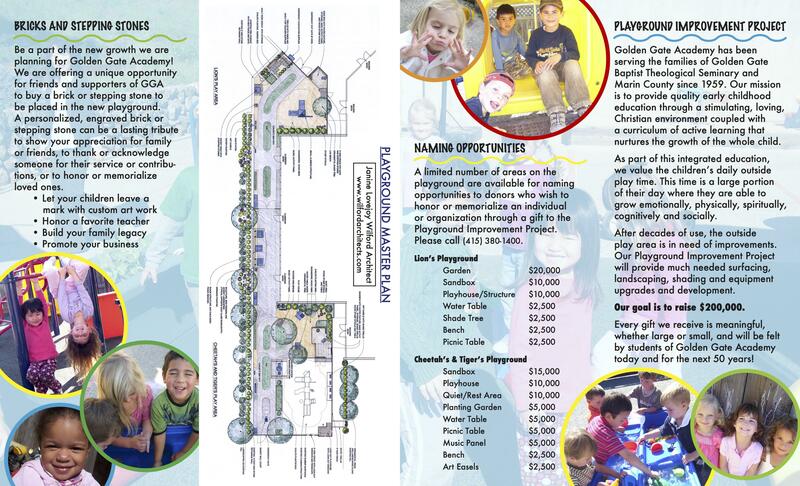 The purpose was to encourage donations while explaining the playground project, the naming opportunity, and the fundraising program. The increase in donations from those receiving the brochure verified its effectiveness. Phyllis wrote the text, collected photos from the GGA archive (which included receiving parental permission), oversaw design and production.